Stephen is the co-founder, Chief Investment Officer and Managing Member of Quantamize. He is a CFA® charter holder and a member of the CFA Institute, CQF Institute, the New York Society of Security Analysts, and the Society of Quantitative Analysts. Stephen’s investment experience and approach involves developing specialized AI and multi-factor quantitative analytics and multi-asset options-volatility strategies. Stephen has significant global investing experience and is widely traveled in the global markets of Latin America, India, South-East Asia, South Asia, Russia Western Europe and Japan. 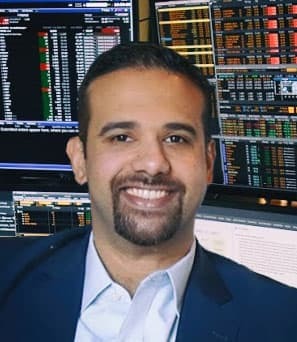 Stephen was previously a top performing analyst at PineBridge Investments (formerly AIG investments) with research responsibilities covering global consumer/media, energy, infrastructure, utilities, and telecommunications. Prior to joining PineBridge Investments, Stephen served as a trader for the hedge fund, Sunridge Capital Advisors, a financials-focused investment management firm. He began his career at Sandler O’Neill & Partners as an insurance and equity trader. Stephen is multilingual and a published writer. He has published 3 white papers discussing the application of economic profit as a valuation metric in inefficient markets, the concept of Active Share and its application to portfolio construction, and the benefits of a concentrated approach to investing in public equities and the diminishing impact of diversification on idiosyncratic risk. Stephen earned a B.A in International Studies with a concentration in Latin America, Middle East, and South Asia from Johns Hopkins University.